Legend IP Dome Series from GE-Security is the newest addition to our industry-leading integrated dome camera line, adding full frame rate streaming video to the already feature-packed product. Legend IP Dome Seriesis fully compatible with the SymSuite family of IP-based products from GE-Security. SilkTrak direct drive eliminates gears and belts for improved performance and reliability. The closed-loop positioning technology provides preset positioning accuracy of +/-0.015 degrees. 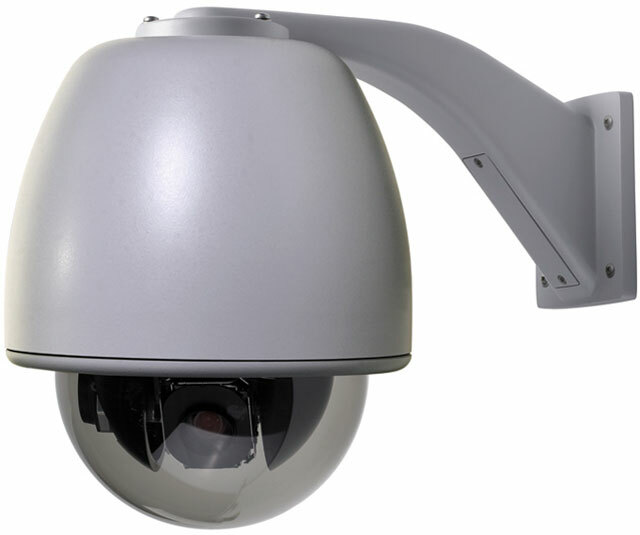 A choice of 36x or 26x optical zoom camera with 12x digital zoom gives this new dome 432x or 312x total zoom. Optically superior injection-molded dome bubbles insure crystal clear images, even at the highest zoom magnifications. With 184-degree tilt travel for above- horizon viewing and electronic image flip, the camera can tractrack activity directly underneath it without having to spin on its pan axis.